Preliminary studies for heavy and sensitive infrastructures often required a large geotechnical/geophysical site characterization. A multi-method (refraction/MASW/ERT/EM/UHR vibroseismic) geophysical survey has been coupled with extensive geological mapping in tectonically complex environment. 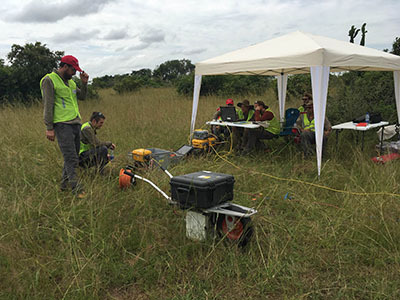 Located in varied environments, from National Parks to sub-urban areas, this campaign involved a crew of geophysicists, topographers, and local workers for nearly 5 months. The resulting sections, depths slices, and maps allow for the determination of a shallow geological model and the classification of actie/inactive fault systems. 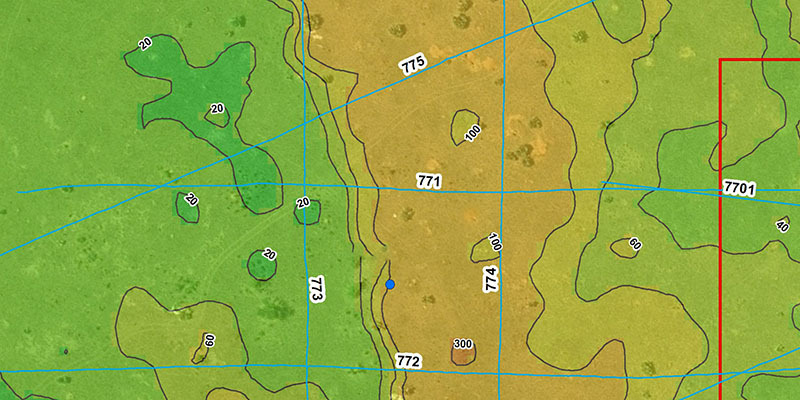 3D EM acquisition allows for resistivity depth slices creation. On one of the intended construction site (which has been cancelled), a resistant, linear structure has been identified. This is very strongly correlated with a fault trace detected with reflection seismic surveys.